Sept. 11, 2013 (COLUMBIA, S.C.) – Executive Chef Tim Peters of Motor Supply Co. Bistro in Columbia, S.C. will once again join an all-star culinary team of chefs for an Outstanding in the Field dinner in Swannanoa, N.C. on Tues., Oct. 1, 2013. For the fifth consecutive year, Chef William Dissen, from Asheville, N.C.’s The Market Place restaurant, will host Outstanding in the Field, a mobile restaurant that roams the country in a bus, celebrating different regions of the U.S. and reconnecting diners with the land and the food there through farm-to-table dinners prepared by teams of local guest chefs. This year, Chef Peters will join Chef Dissen and the rest of the team on Warren Wilson College Farm in Swannanoa, N.C. to create a memorable meal served at Outstanding's signature long, outdoor banquet table. Officially started in 1998, Outstanding in the Field aims to honor local farmers and food artisans around the country. 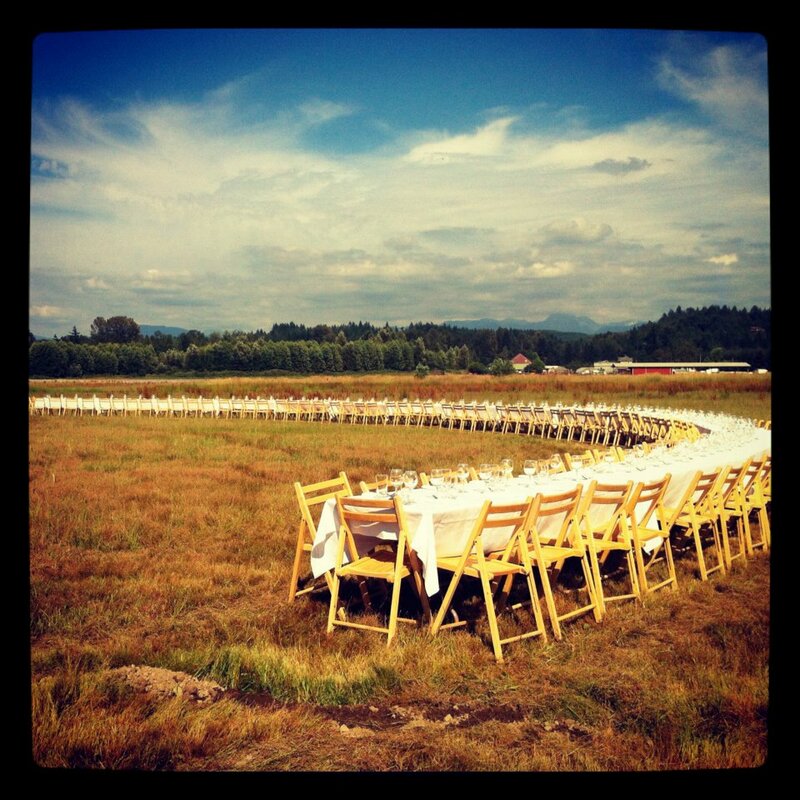 A roving culinary adventure, the event evokes the feeling of a restaurant without walls. This will be the third year that Peters joins Dissen's team of celebrated chefs. Farm-to-table meals are no new concept for Chef Tim Peters, who insists on using only the freshest local and sustainable products at Motor Supply Co. Bistro. Along with creating perpetually interesting dishes for the daily-changing menus, Peters has created and sustained close relationships with local organic and near-organic farmers, and celebrates their work with events like Harvest Week at Motor Supply, the next of which will be held Oct. 15-20, 2013 featuring Meet the Farmer Happy Hour on Oct. 15, 2013 from 5:30-7:00 p.m. Chef Peters is always inspired after an Outstanding dinner, where he gets the opportunity to cook with like-minded chefs, who are also peers and friends. "I love it when someone in the outdoor kitchen asks, 'Chef?' and all of us raise our heads from the line to answer," says Peters. "I also get to witness Bill Dissen, a great artist, bringing it all together, and I love being a part of it." Motor Supply Co. Bistro has been serving New World, made-from-scratch cuisine in the Vista since 1989 at 920 Gervais St., Columbia, S.C. 29201. Reservations can be made by calling 803-256-6687 or by visiting http://www.motorsupplycobistro.com/reserve.